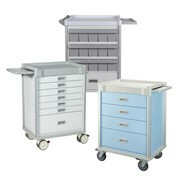 The healthcare environment is demanding and constantly changing, these tough, durable carts are designed to meet the demands you have today and make change easy as your needs change, a modular cart system means universal sizes and easily interchangeable drawers and accessories. 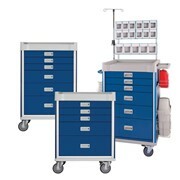 Procedure/supply cart, utility cart, med/surg supply cart, linen storage cart – a variety of cart bodies and a wide selection of modular, lightweight, interchangeable interior components and accessories make it easy to create the cart you need. When your needs change, just exchange the components to create new functionality. 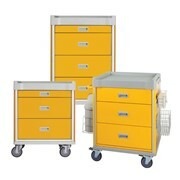 Universally spaced slots within the cart bodies accept the same drawers, shelves, and accessories across the entire offering. 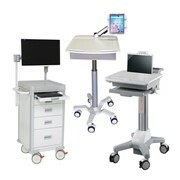 Components even extend to use with Herman Miller for Healthcare's broader offering of clinical furnishings. 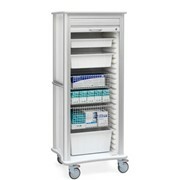 Standard cart sizes are 508mm and 610mm wide (and double wide) and 915mm, 1067mm, and 1829mm high, giving you options for targeted functions or high-capacity storage. 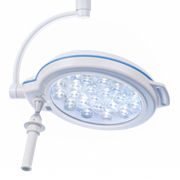 Need a different height or configuration? We make carts to meet customers' special requests. Your cart is ready for a workout. 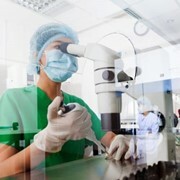 Our test lab technicians put carts through rigorous tests, simulating the conditions of a fast-paced hospital environment, making sure they'll stand up to your real-world use. We try tipping them, pushing them into walls at high speeds, loading them to capacity and then making sure drawers won't fall out, testing surface strength, locks, casters – and a lot more. Several lock options maintain the security of cart contents. 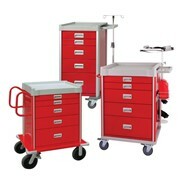 Carts can be ordered with lockable doors and keyed or keyless entry. Lockers come with solid or clear tambour doors to maximise the efficiency of interior storage space and keep supplies fully secure. Drawers can be locked to add another level of security. Our high-security locks are issued with key sets that can't be copied. Operation is self-evident, and it's easy for staff to add, remove, and change out drawers, shelves, racks, baskets, bins, and other components without tools. 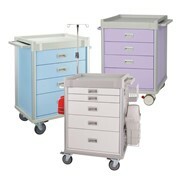 Procedure/supply carts are designed to help control infection control. 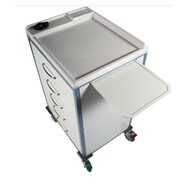 All interior components and accessories can be removed from the cart body, making every surface – inside and out – accessible for cleaning. Ergonomic design, rounded corners, and a surface material that is softer than metal add up to a user-friendly design. Thoughtful design details include edges and pulls that are smooth and sturdy. The carts' lighter weight and sturdy casters ease mobility and movement over door and elevator thresholds and when quick response is essential.